Israel obliterated symbols of Hamas power on the third day of what the defense minister described Monday as a “war to the bitter end,” striking next to the Hamas premier’s home, and devastating a security compound and a university building. The three-day death toll rose to at least 315 by Monday morning, with some 1,400 wounded. The U.N. said at least 51 of the dead were civilians, and medics said eight children under the age of 17 were killed in two separate strikes overnight. Israel launched its campaign, the deadliest against Palestinians in decades, on Saturday in retaliation for rocket fire aimed at civilians in southern Israeli towns. 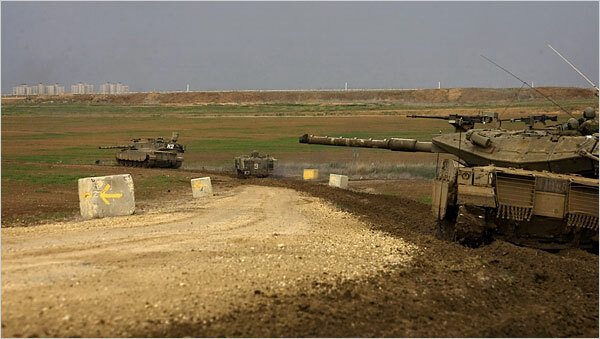 Since then, the number of Israeli troops on the Gaza border has doubled and the Cabinet approved the call-up of 6,500 reserve soldiers. The strikes have driven Hamas leaders into hiding and appear to have gravely damaged the organization’s ability to launch rockets, but barrages continued. Sirens warning of incoming rockets sent Israelis scrambling for cover throughout the day. The chief US delegate to the International Atomic Energy Agency warned Syria on Saturday that it had until March to begin showing signs of cooperation over its nuclear plan or the country would face punishment. Gregory L. Schulte presented Damascus with the ultimatum ahead of an IAEA’s meeting scheduled to take place in three months. Schulte said that according to an American investigation, North Korea had not denied involvement in the construction of the alleged Syrian reactor that was reported by foreign media to have been destroyed by Israel in 2007. If Damascus chooses not to cooperate “there will be a negative reaction and serious questions will be raised,” the US envoy cautioned. You are currently browsing the archives for the Damascus category.